&bull; We can produce articles as customes' requirement and the new mould fee will be refunded if the quantity is over 20000 sets. &bull; We offer better discount if the payment could be paid before delivery. -- We have a certain production scale and experience in export business . Zhejiang Zhongheng Aluminum Industry Co., Ltd.
Can print your brand logo on the bottom 3). Customer can buy whole set or separate pc 5). OEM /ODM are 6) Fashionable and useful design. 6). Before cooking prepare the surface with a thin coat of melted shortening, or vegetable oil. Despite many recommendations to the contrary, a little mild soap, or lye soap, won't erase the seasoning. Do not use detergent products to clean the oil on the surface while washing, and they will never rust. 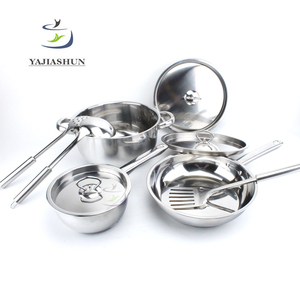 Zhejiang Quiteyoung Industry & Trade Co., Ltd.
As Seen As On TV 9PCS Nonstick Cookware Sets Cooking Pot Size :16/18/20/22/24/26/28/30/32cm available : Item No. CY-SC007 Handle Silicon/bakelite/painting Size 16/18/20/22/24/26/28/30cm Bottom Spiral/induction Material Aluminum Alloy 3003 Packing Bubble bag+color box+carton Thickness 2.0/2.5/3.0mm Payment Terms T/T or L/C at sight Interior Non-stick/ceramic coating Lead Time 35-45days Exterior Heat resistant painting Scope Gas, induction, ceramic,electric Our Factory: Our factory Coating and Bottom: Coating and Bottom More Details: More Details Hot Sale Fry Pans: Hot Sale Fry Pans Certificate: Certificate Welcome to contact us! 2.food slides effortlessly from the pan. 5.suitable for all types of cooker. 6.extremely easy to clean. 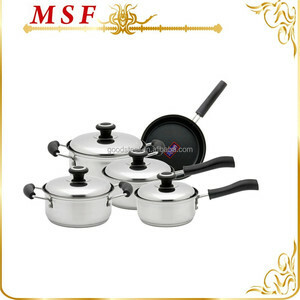 Alibaba.com offers 989 9pcs wholesale cookware products. About 73% of these are cookware sets, 4% are pans, and 2% are utensils. 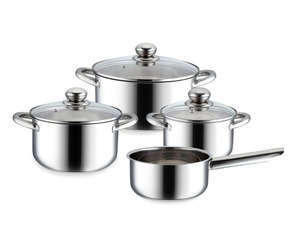 A wide variety of 9pcs wholesale cookware options are available to you, such as sgs, fda, and ce / eu. You can also choose from stainless steel, aluminum alloy, and aluminum. As well as from metal, ceramic. And whether 9pcs wholesale cookware is free samples, or paid samples. 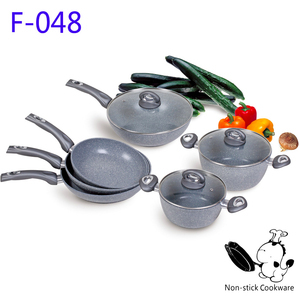 There are 868 9pcs wholesale cookware suppliers, mainly located in Asia. The top supplying countries are China (Mainland), Turkey, and India, which supply 96%, 2%, and 1% of 9pcs wholesale cookware respectively. 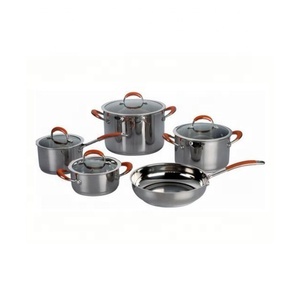 pcs wholesale cookware products are most popular in North America, South America, and Eastern Europe. You can ensure product safety by selecting from certified suppliers, including 235 with ISO9001, 94 with BSCI, and 37 with ISO14001 certification.